Posted on April 27, 2018 by thelostlighthouse	in Gaming, Podcast, Total Reroll and tagged 5th Edition, 5th edition D&D, actual play, crime, D&D, detective, DnD, Dungeons & Dragons, Dungeons and Dragons, gaming, Mystery, Neverwinter, pen and paper RPG, podcast, real play, role playing game, RPG, thelostlighthouse, TLL, tllgaming, tllpodcast, Total Reroll, Total Reroll Equinox, Wizards of the Coast. Welcome to the episode 8 of Total Reroll NSCU, our new Dungeons and Dragons podcast series. We are new members of the Neverwinter Special Crimes Unit, brought in to investigate strange goings on in the city of Neverwinter and to uphold the law! 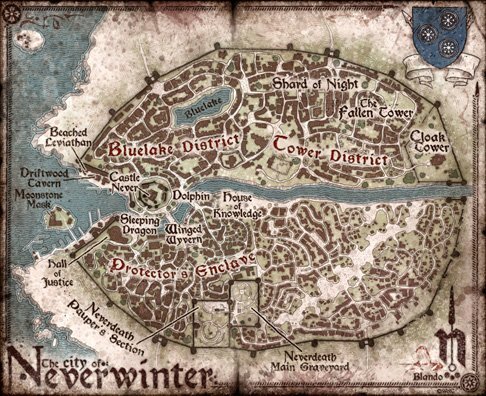 We our on our third case, looking into the Blue Lake Street Race, which we suspect may be a cover for the disappearance of carts throughout the city of Neverwinter, leaving the city desperately low on food in the face of a harsh winter! We hope you enjoy the episode. We are moving to fortnightly releases, with new episodes out every other week on alternate Fridays to The Weekly Rapture pop culture podcast. If you enjoy the episode, please let us know on Twitter or Facebook, give us a 5* rating on itunes, or share with anyone you think may enjoy it! Our intro and outro music is ‘Winter’s Howl’ by Ed Curry.